Clean air is the need when it comes to breathing, yes its true. But have you ever noticed that an automobile engine also breaths? Feeling curious?, of course you are, we the human beings need fresh and clean air for our survival, if the air is contaminated than it will directly effects our health. Same is with engine as the engine breaths i.e. needs air, through the intake manifold for the combustion of fuel, As the engine takes air from the atmosphere so the questions arise, Do engine needs clean air?, What effects does the polluted air causes to the engine? 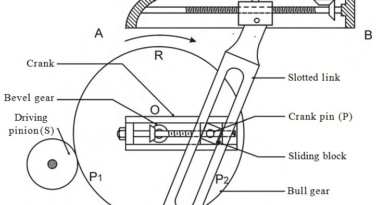 , How the cleaning of air takes place in an engine? Let’s just till the cat. 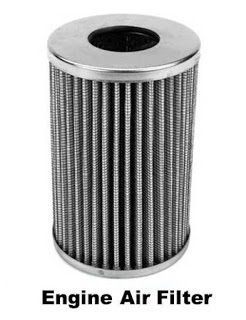 An engine air filter system of an automobile is the system that consists of filters made up of various materials that helps the engine for removing or filtering the foreign materials like solid particles, dust, bacteria and odour from the intake air which in turn prevents the engine from various defects like corrosion, wear and tear e.tc. caused by the pollutants in the air, and also increases the quality of the combustion. Engine air filter system also prevents the passengers from harmful air from the outer atmosphere. Why do we require Engine air filter system? A vehicle needs air filter in its air intake system as the main source of combustion, which requires fresh air for the preparation of proper air-fuel mixture than can improve the quality of the combustion. A vehicle must be equipped with an air filter system as the contaminants in the air can cause various defects in the engine like corrosion of the piston, cylinder wall , and also the solid contaminants can cause wear and tear of the various components of the engine. An air filter system is required in a vehicle because the clean air gives less emission through the exhaust of a vehicle as clean air provides complete combustion of the air-fuel which in turn leaves less residual for the exhaust. A vehicle with proper engine air filter system requires less maintenance. When it comes to air ventilation in passenger’s compartment the need of the air filter system increases as the passenger’s health is the priority. The better air filter system in an automobile decreases the need of changing engine oil as the life of the engine oil depends on the wear and tear of the engines components as greater wear and tear decreases the lubricating and cleansing property of the engine oil. So by the above mentioned points it is clear that engine air filter system as compared to other systems is also important for the well being of the engine. As we have discussed due to the increase in air pollution in the cities like Delhi in India various majors have been made to prevent people with these hazardous pollutants which can cause breathing problem to the people. One of the measure is to introduce an air filter in the ventilator of passenger’s compartment whose idea was introduced in 1940 by Nash Motors which becomes the need of today’s automobile. Passenger’s cabin air filter are the air filters that is used to filter the atmospheric air entering the passenger’s compartment so that while travelling through the vehicle passengers breath the filtered non polluted air which in turn keep the passengers healthy. Passenger’s cabin filters are usually fit in the duct that connects the cabin ventilator to the atmosphere and can be change whenever required by just pulling the lower dashboard cabin. They are usually rectangular in shape and are usually in a shape of steel tea strainer with a paper filter embedded with it. As we have already discussed the combustion of fuel in internal combustion engine requires a proper pre-defined mixture of air and fuel, and the air used is taken from the outer atmosphere which is contaminated with lots of foreign materials like dust ,solid particles etc. that can harm the engine by causing wear and tear and by contaminating the engine oil which in turn decreases the overall life of an engine, so an intake system of a car is fitted with an air filter known as intake air filter. An intake air filter is a rectangular filter consisting of a filtering material like paper placed inside a housing and is fitted inside the air box of an intake system of an automobile vehicle that can filter the air entering the engine’s cylinder during suction stroke of an engine cycle, which in turn prevent the engine from wear and tear and also helps in maintaining the quality of engine in order to increase the engine life and performance. This filter also provides a high quality air-fuel mixture which is essential for proper and complete combustion of the fuel. Intake air filter also decreases the engine exhaust emissions by filtering the intake air which in turn causes complete combustion of fuel. 1. Paper – Unlike normal paper used for writing, a special filter with small pores that looks like paper is used as an air filter which provide filtering of air by restricted the flow of solid contaminants and dust particles. 2. Foam – A normal sponge like filter is used in an automobile that absorbs the contaminants inside the air flowing through this filter. 3. Cotton filter- Oiled cotton gauze is used as a filter in an automobile vehicle that is the modified version of paper and foam filters as it provide adsorption and absorption of solid particles and other harmful contaminants respectively. Note – latest of all in all the modified cars trapezoidal shaped filters are used as they provide better filtering of air along with desired velocity flow of the air the K&N filters are the example of these type of filters. Pankaj Mishra is a mechanical engineer by profession and blogger by hobby. He is owner of www.mechanicalbooster.com website where you can learn about mechanical topics. ← What is Governor? What are main Types of Governor?